Upcoming Brazil Trip, Wildlife Tours, & More! We have one trip planned to Brazil in 2019 - October 28th to November 7th and for 2020 - September 26th to October 6th space available, come with us and you'll find yourself looking right into the eyes of a jaguar, one of the most elusive big cats in the world! Join us and do more than imagine an adventure! Our wildlife tours this year are planned for the dry season of Pantanal, when the wildlife is concentrated in the remaining wetlands and along permanent river courses. Jaguars are the third largest "big cat" on earth, and have remained of the most elusive large predators until recently. 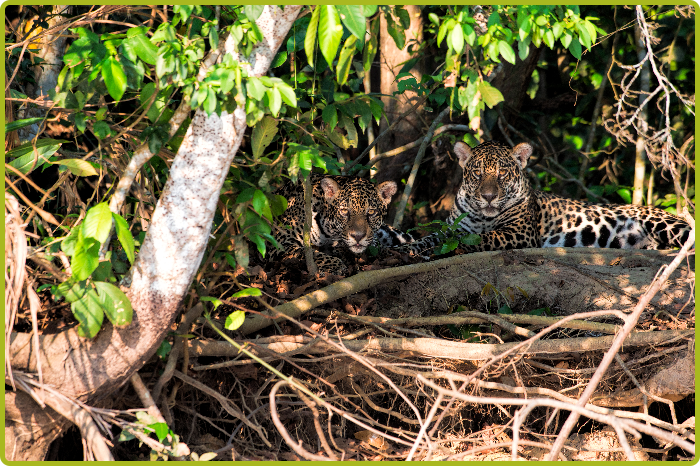 On several Pantanal rivers jaguars have become familiar with the boat traffic and go about their daily routines of relaxing and hunting along the banks of the river. If you're looking for the best chance to see and photograph one of these beautiful creatures, this trip is your best option. The Pantanal is the world's largest freshwater wetland. Seasonal flooding feeds the marshy plain thanks to the tributaries of the Paraguay River. The area covers 54,000 square miles, which is about 10 times the size of Florida's Everglades. It is also one of the world's most productive habitats with amazing wildlife, countless birds and caiman. It is also rich with mammal life, including one of the largest concentrations of jaguars in the world. Tropical rains lead to annual flooding that creates a giant nursery for an amazing variety of plants and animals. As the waters recede in the dry season, the area attracts an influx of birds and more animals. The savannahs and tropical forest offer some of the best wildlife viewing in Latin America. Here there are more than 400 species of birds, including more than 80 species of large bird. Many of animals can be seen by car along the Transpantaneira Road, which is the only all-year route penetrating the heart of this special wild place. You'll also find giant otters, capybaras, capuchin monkey, and the region's gem, the jaguar. Knowledgeable guides will lead you on a 10-day adventure that will include countless opportunities to see and photograph Jaguars in their natural habitat, as well as many other mammals and birds. 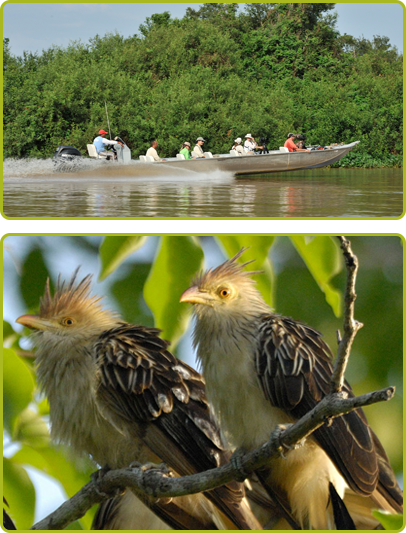 We are partnering with the best in Brazil to bring you this once in a lifetime trip to the Pantanal. On previous trips we've seen jaguars every day in close proximity to where we will be staying.